Hey, everybody loves Potter, right? 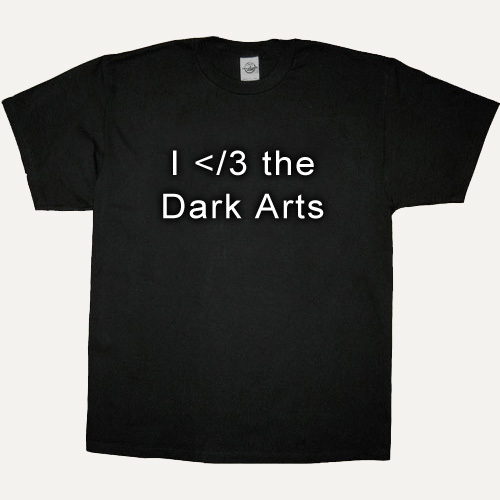 So, everyone likes to hate on the Dark arts. And everyone likes Tshirts. Put them all together and you get the above. Made from a reference pic (a Zelda shirt, actually) that I grabbed from the net and Photoshop. Idea not entirely original, but close enough.